WHEN Mitch Marsh joked in the UAE that he would never bat for Australia at No.4 again, he had little idea there was worse news to come. Twelve months ago, Marsh was celebrating a maiden Test century in his home town as Australia regained the Ashes with a thumping victory in Perth. He now finds himself dumped from the Test team, battling to reclaim his ODI spot ahead of next year's World Cup and a peripheral figure in the national T20 set- up. 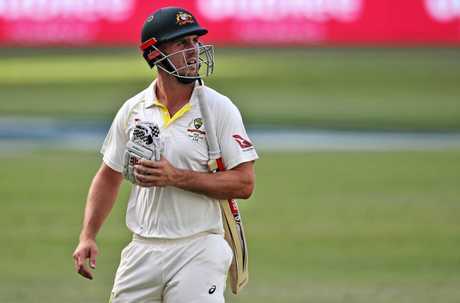 Marsh's axing for the first Test against India in favour of Peter Handscomb was driven heavily by two factors: the need to shore up the top six in the absence of Steve Smith and David Warner, and a belief that the lively Adelaide pitch rendered a spare bowler unnecessary. In all likelihood Marsh, who will return to the Sheffield Shield to captain Western Australia against Victoria starting Friday, will be recalled later in the series when the quicks need more support as acknowledged by Tim Paine and Justin Langer. Marsh sent down 30, 27 and 22 overs in three Shield matches last month, having recovered from ankle surgery that sidelined him earlier in the year. The 27-year-old's leadership is also highly rated, earning him the joint vice-captaincy of the Test and T20 sides. His batting remains a concern. A productive Ashes series and a near-century in South Africa was followed by a sequence of low scores including just 30 runs, batting up the order at No.4, during Australia's series defeat to Pakistan in the UAE. A devastated Marsh wryly noted after the Pakistan series that the experiment at No.4 was unlikely to continue. "It's probably the last time I'll be batting four for Australia in Test match cricket," he said. "I liked the opportunity but didn't take it and in Test match cricket, if you don't take your opportunities they go very quickly." Exactly where Marsh fits into the shorter formats remains unclear. Since making his T20 international debut in 2011, Marsh has added just 10 more appearances. Skipper Aaron Finch has played 50 over roughly the same period. It is a similar story in ODIs, which Marsh considers his best format. 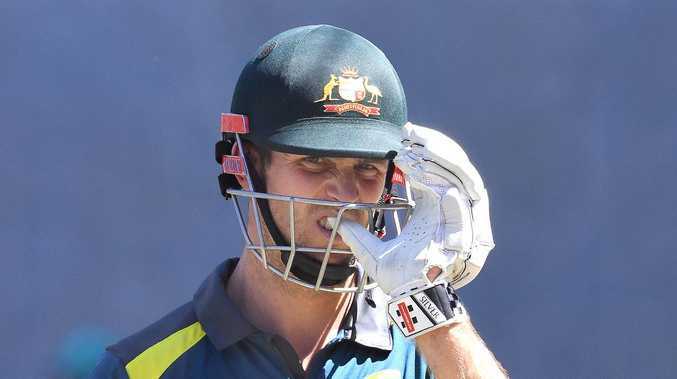 Shattered to miss out on selection to face South Africa last month, Marsh acknowledged his World Cup hopes hinged on fighting his way back into the best XI. Australia are set to play three ODIs against India in January, presenting another opportunity for Marsh to force his way back into contention. News 'Every fatal I have been to has been avoidable', says traffic cop.